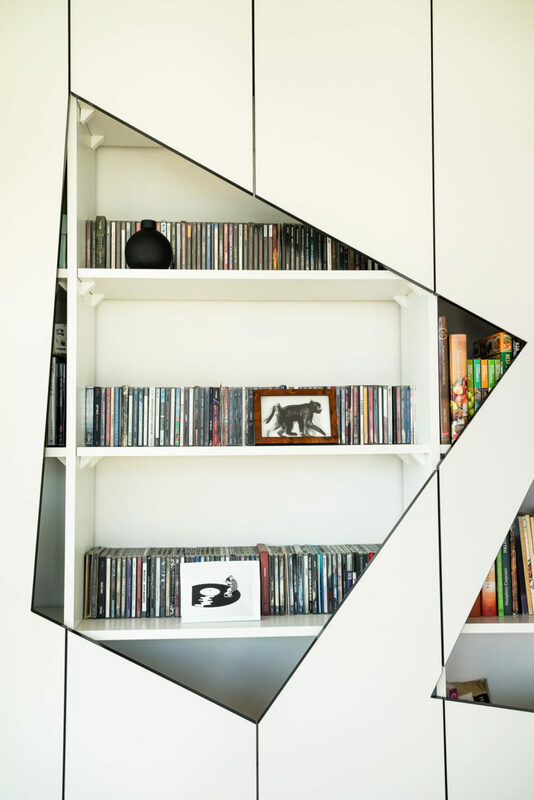 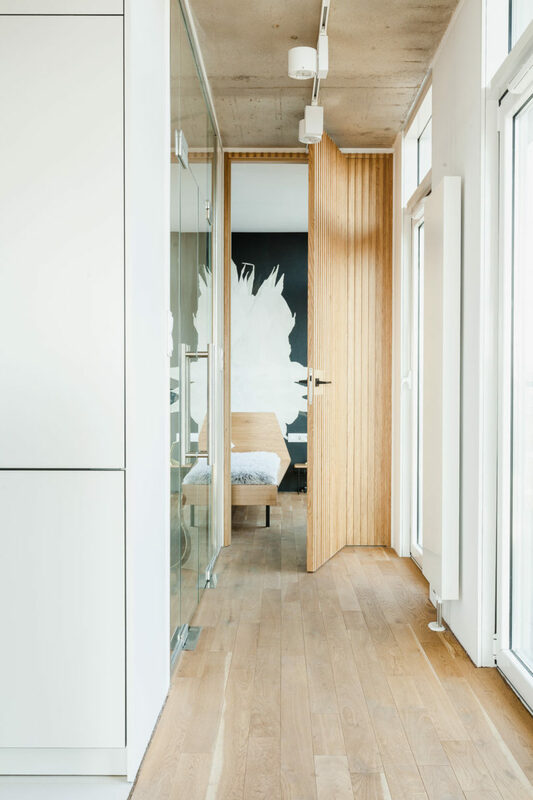 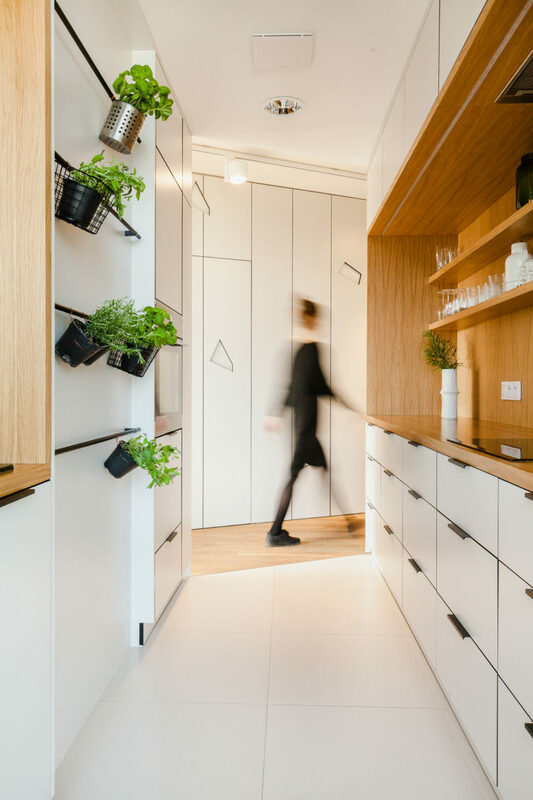 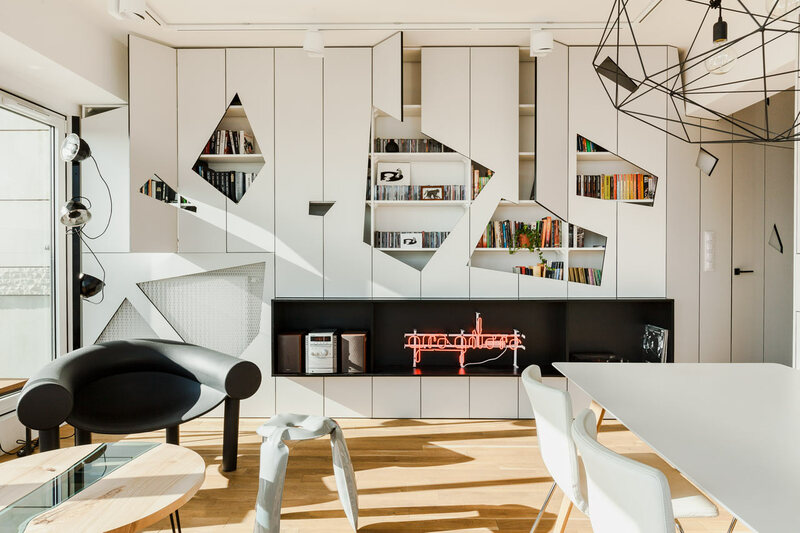 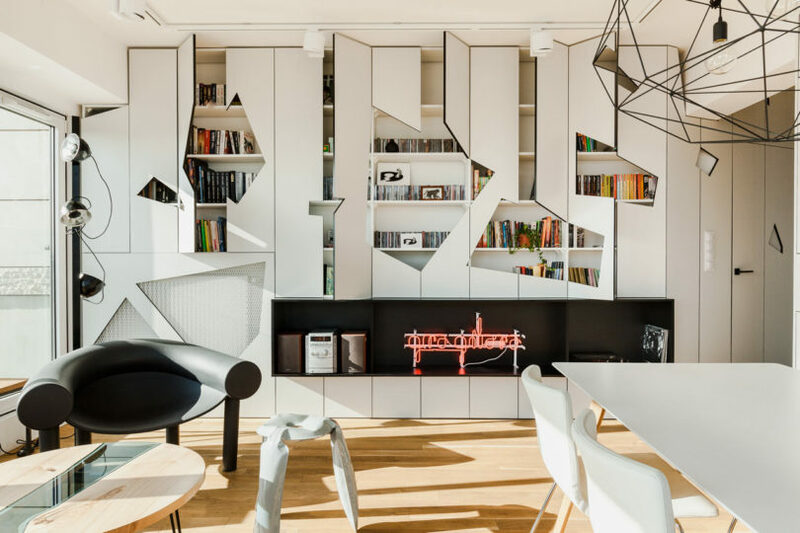 They added another design layer into the interior by outfitting the built-in cabinets with geometric door fronts. 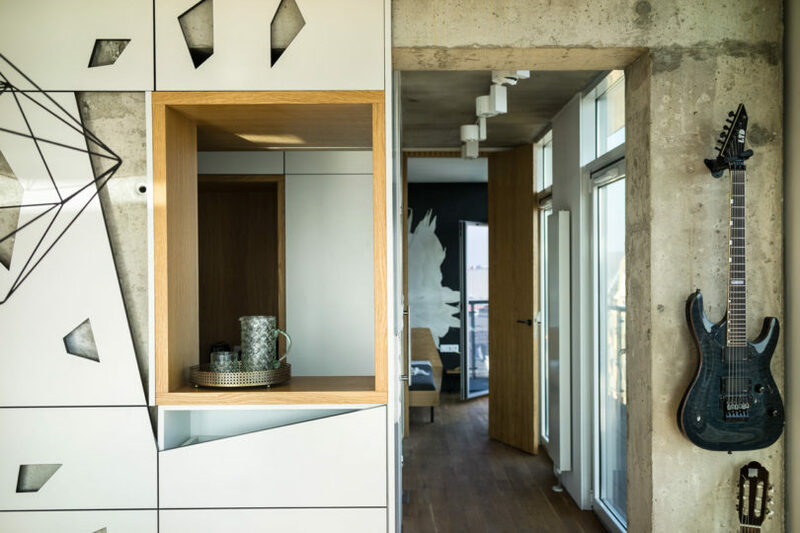 The new layout affords an open living and dining room with uninterrupted window views in the corner of the apartment. 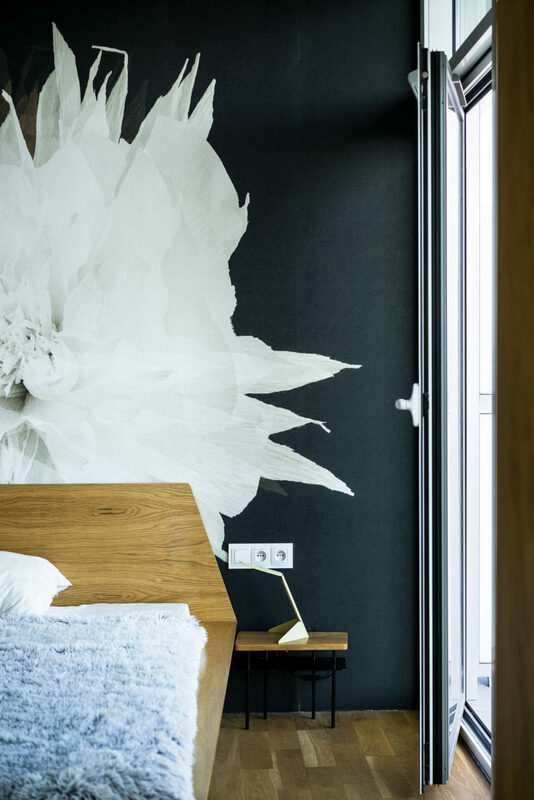 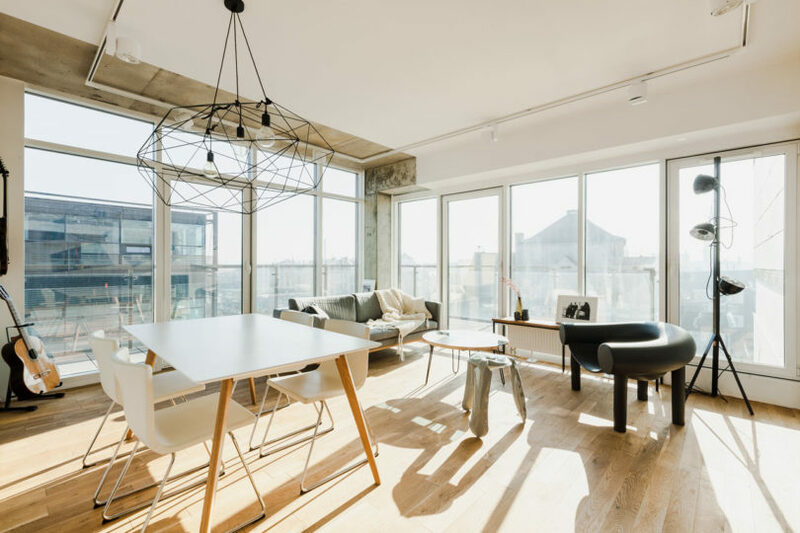 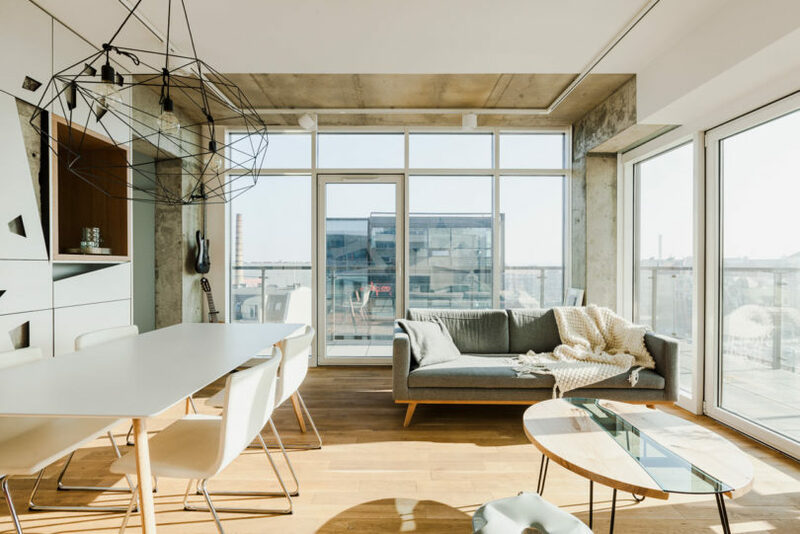 Since the designers came into the project durning construction, they were allowed to incorporate their ideas more easily, as well as keeping some of the raw, industrial elements that add charm to the space. 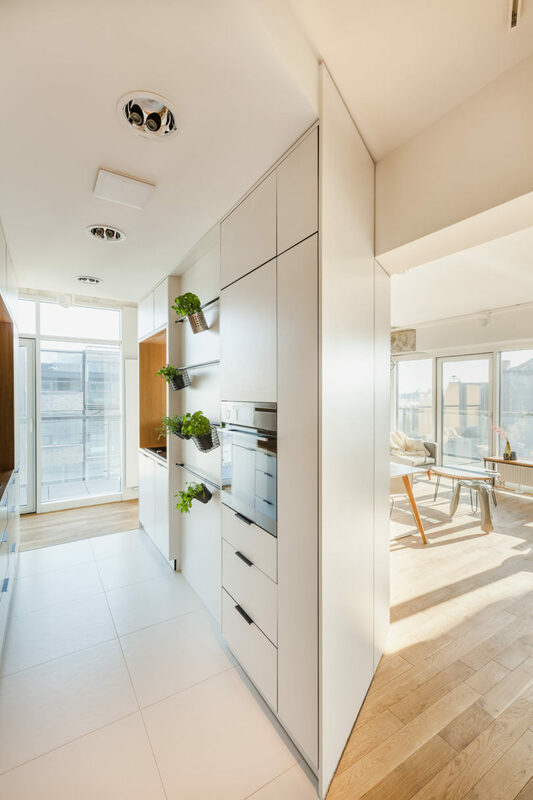 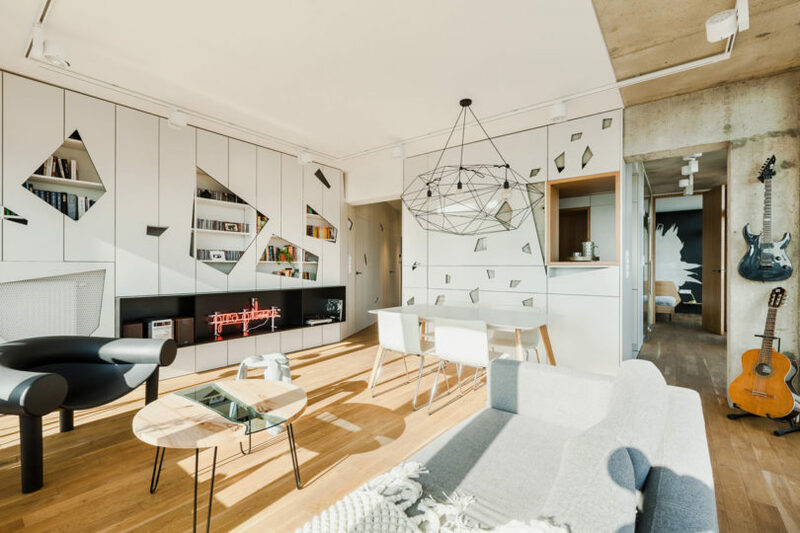 The kitchen, guitar room, and guest room can all be entered from either side, which gives the apartment more of an open feel and lets light further into the interior. 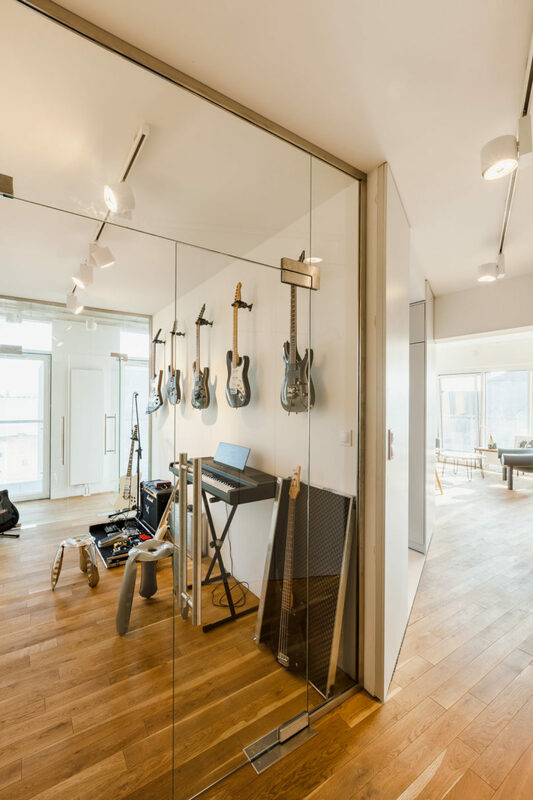 So the views weren’t disturbed, the study, which actually functions as a guitar room, has two walls made of glass so the sight lines are kept open. 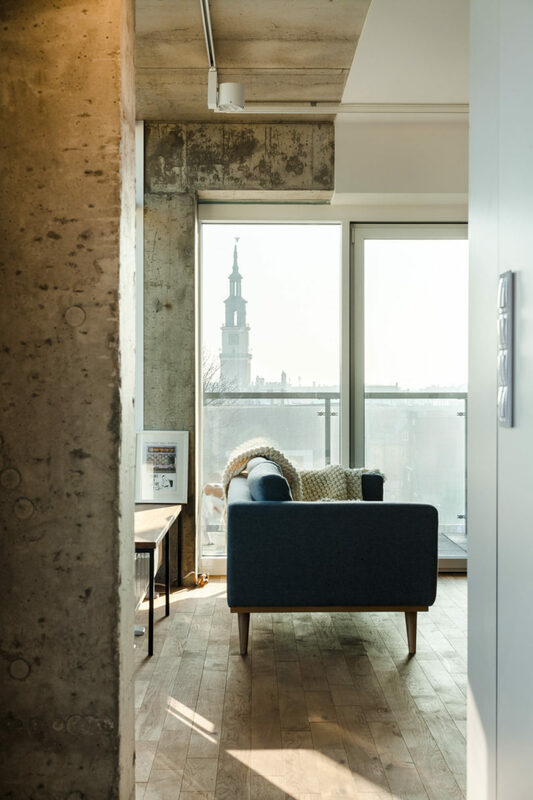 Since the designers came into the project durning construction, they were allowed to incorporate their ideas more easily, as well as keeping some of the raw, industrial elements that add charm to the space. 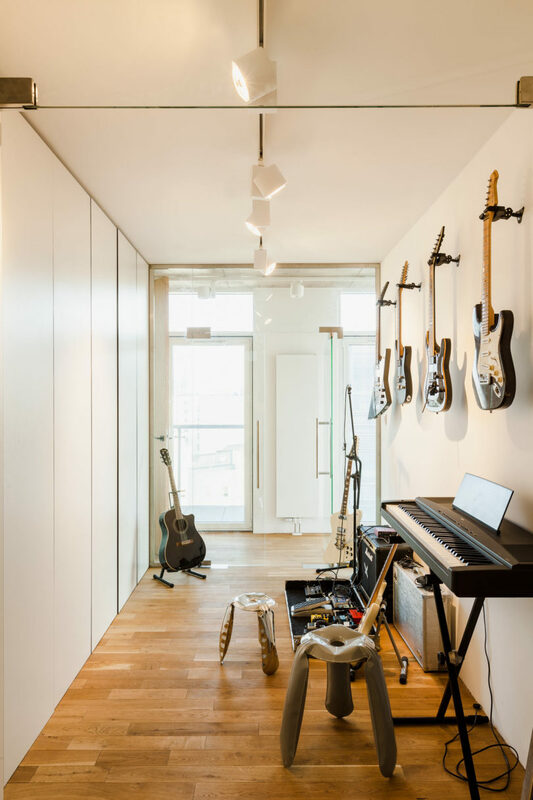 the study, which actually functions as a guitar room, has two walls made of glass so the sight lines are kept open.